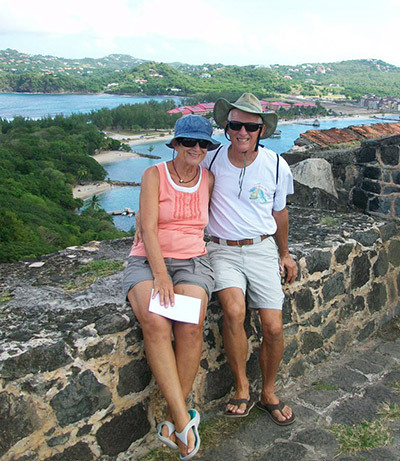 For almost five years, Larry and Ann-Marie Bowyer had been living their dream of sailing the Caribbean Islands aboard their 44 foot Island Packet sailboat. Their newest destination was the popular harbor along the Rio Dulce River near Livingston, Guatemala. 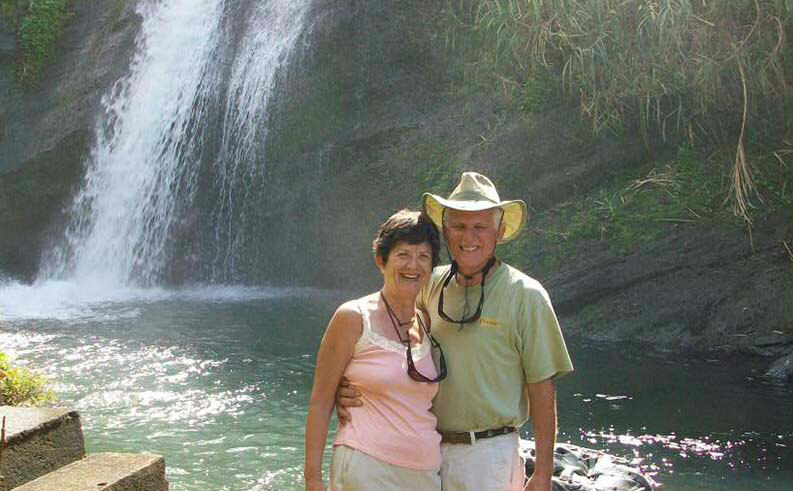 As Larry positioned the vessel past the sandbar at the mouth of the Rio Dulce, he experienced the sudden onset of a severe headache, became flushed and lost facial color. Due to these symptoms, he could not focus on his compass and soon lost consciousness, leaving Ann-Marie to finish navigating into port. 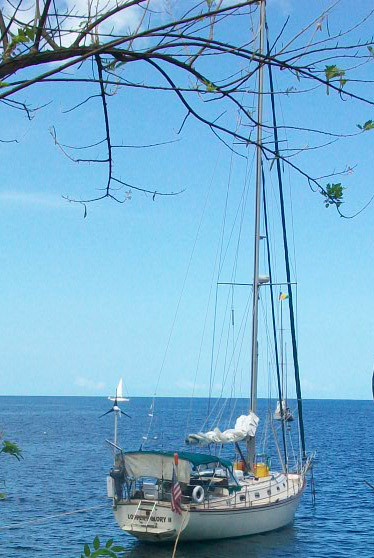 After signaling a local motorized dugout canoe for assistance, a local man helped Ann-Marie take the yacht into the mooring while two others transported Larry by canoe to the only locally available medical clinic. The clinic doctor thought the symptoms may be due to a stroke or heart-related condition, but the clinic could offer neither diagnostic testing nor appropriate medical treatment. The doctor recommended that Larry be evacuated to a hospital in Guatemala City, but the facility was five hours away and there was no emergency transportation service or direct road access from the clinic’s location to the highway. Evacuation would require a brief boat trip upriver to a larger community where a bus or private car could take the patient to Guatemala City. 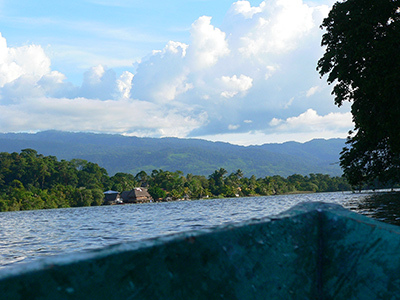 View of the Rio Dulce from a panga - a motorized dugout canoe. While the situation appeared dire, the couple were DAN members, so Ann-Marie knew to call the DAN Emergency Hotline for assistance. The DAN medic spoke with the clinic doctor and soon coordinated medical evacuation by air ambulance from a military airstrip located only 30 minutes from the clinic. The air ambulance and medical crew were soon dispatched to retrieve Larry. Due to the lack of a clear diagnosis and the potential for prolonged hospitalization, the DAN medic determined that the best decision would be to evacuate the couple back to the United States. After a brief stop at customs, Larry was shortly in the hands of advanced medical care and received the care he required. Several weeks after his recovery, he was cleared again for travel and the pair returned to their boat, stopping by the clinic to leave a donation for the doctors who worked so hard to help get them the care he needed. Despite their misfortune, these DAN members had some good luck. Local good Samaritans helped moor the boat and shuttled Larry directly to the closest medical care. Part of any good float plan includes having information about local medical capabilities in the regions of intended travel. Search online for medical clinics and emergency medical service contact information to go along with your local navigational maps. The couple also was fortunate to be able to reach the DAN hotline by phone. You cannot always rely on cell phone coverage in remote locations, so be prepared with a backup communications option such as a satellite phone, single side band radio, VHF, Skype, or even email to get through to DAN Boater Emergency Services. 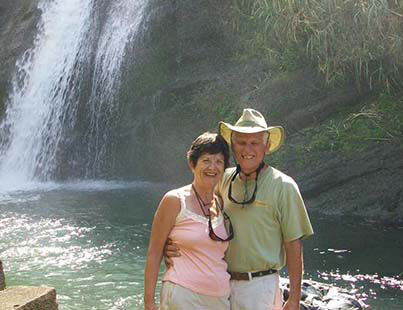 DAN is best known for offering a 24-hour emergency hotline and global medical evacuation service. When boaters experience medical emergencies, they just want to make sure they will be taken care of without having to find available air ambulances, arranging admission into U.S. or international hospitals, or dealing with the red tape of guaranteeing payment. By making one call, DAN Boater members know that every detail — from air travel to airport pickup to direct admission into a hospital — is being handled. DAN Boater advises every extended-range boater to keep the emergency hotline number in your first-aid kit, with your cell phone and/or sat-phone, and on your computer. As soon as a situation arises in which you require medical guidance or may need medical assistance or evacuation, call the DAN Boater hotline. Non-U.S. calls can be accepted collect from anywhere if it is an emergency.